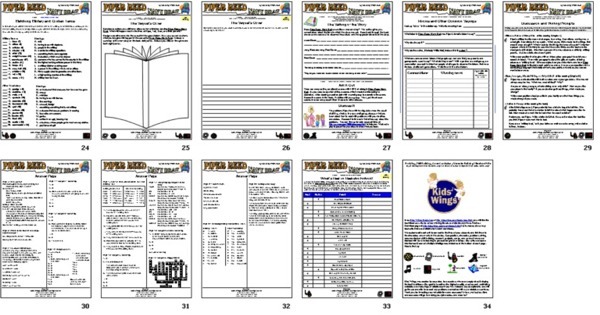 You can purchase the complete Kids' Wings 29-page Unit for Piper Reed, Navy Brat by Kimberly Willis Holt NOW! Available for immediate download for only $12.95! Sharable within your school! "Sometimes being a Navy brat was the pits." How would you like to be a middle child, squashed between a grumpy older sister and a genius, prodigy-of-a-younger sister? Well, Piper Reed didn't like it much, either, but there was nothing she could do about it. There was also nothing she could do about being a Navy brat. As her daddy, Chief, always said, "When a man joins the Navy, his family joins the Navy." When Chief was reassigned to Pensacola, Florida, the whole family had to accept their orders and move...again. Leaving their home in San Diego would be hard enough for Piper, but she also had to leave her Gypsy Club, her tree house, all her friends, AND start over in a new school...in October! What would her teacher do when she found out about her problem? But first she had to survive the long car trip. Would the songs and games help make things bearable? Would she get a room of her own? Would she have a tree house? And, what is the secret that Mom and Chief were keeping from them, anyway? Piper Reed, Navy Brat, gives a funny and insightful look into the life of a young girl who makes the best of living...and moving...in a Navy family. You will love going along for the ride! What is a Navy Brat? 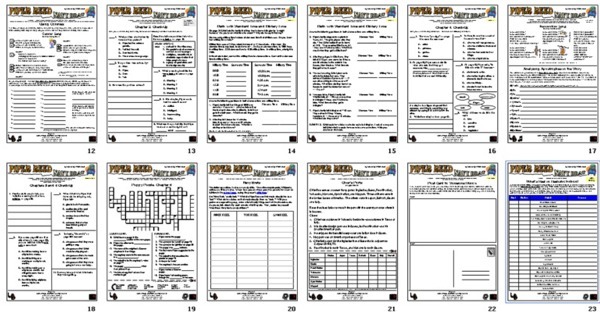 A 31-page unit for Piper Reed: Navy Brat is a part of a collection of 23 units in Gifts and Givers. Buy Piper Reed: Navy Brat NOW! Piper Reed: Navy Brat is included in the Kids Wings Gifts and Givers collection of literature guides for award-winning novels and intermediate-level picture books. This collection comes in a spiral-bound book with CD and site license for one school. 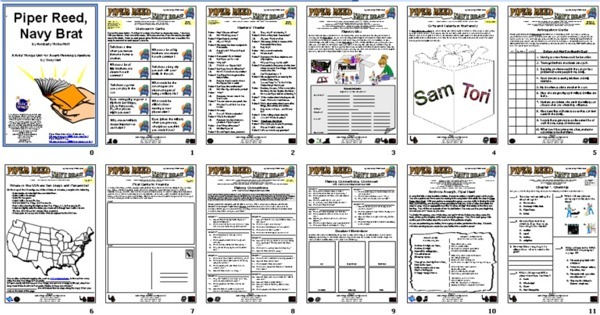 The Gifts and Givers package includes 24 literature guides for award-winning books, over 500 pages of activities, 7 Jeopardy-type games, and 9 Karoke-type songs You can purchase a literature guide individually for around $12.95, but if you order Gifts and Givers, you can get 24 literature guides on sale, for about $1.00 each! This is one of the best bargain in the USA, while quantities last!